50 years of the Grateful Dead! 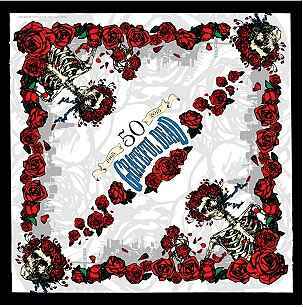 Celebrate, with our super high, quality 50th anniversary bandana. It's a big 22" x 22" and is a super soft print. Officially licensed by the Grateful Dead.